In a rush? 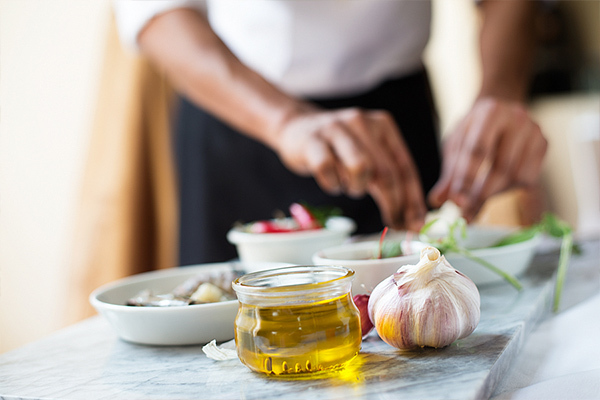 Why not take it to your desk or you can pre order your meal by emailing or phoning us – we’ll keep it ready. Street style food, fast, filling and freshly prepared from flaming pan to your plate. Crispy potato fries with our signature hot dry seasoning. Sautéed with peppers, onion, tossed indo-Chinese soy sauce. Plain cassava chips fried and served with a slice of lemon or tossed in a tangy chilli sauce – a great twist to a bowl of fries. Deep fried fenugreek parcels, or good old onion bhajee’s. Choose from Lamb, Chicken, Vegetable or a trio! Four french trimmed best end chops, marinated in our Kashmiri chilli, ginger masala – barbecued to perfection. Barbecued double minced lamb marinated in spices. Lamb cubes marinated in a spice blend, tandoor finished. 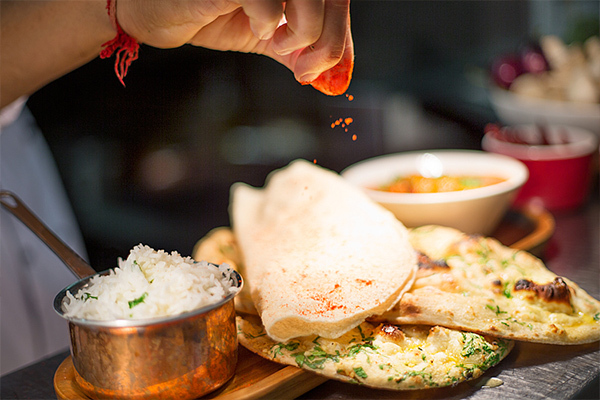 Indian classics freshly prepared to your taste: mild, medium, hot or if you dare very hot! Served with rice and baby naan. Cooked with a thick spicy tomato masala and a hint of mustard seed, bursting with spices. Juliennes of ginger, onions, deep zesty traditional Indian offering. Simmered in rich tomatoes, cashew, a twist off the old block. Cashew nuts with cream and yoghurt, tempered with cardamom. Double minced lamb & peas sautéed in garlic, chillies, and ginger. Egg slow cooked with a hearty masala sauce. A medley of favourite vegetables cooked in chopped spinach and spiced up. Fluffy naan bread filled with your choice of filling along with a healthy mix of salad and relish. Quite simply the vegetarian’s favourite sizzle. Chicken breast seasoned with tandoor masala, curry leaf, lemon leaf and mustard seeds – the taste of the South coast. 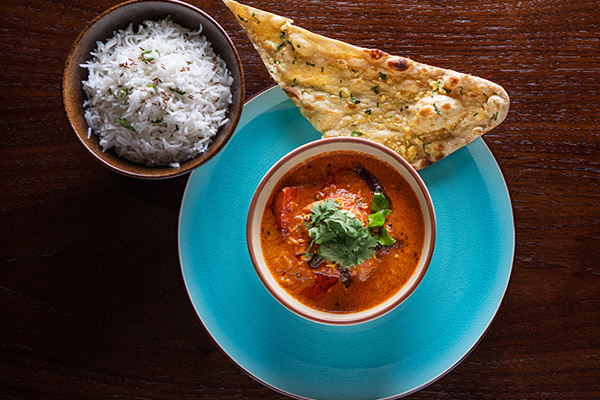 Chicken breast seasoned with hot Indian spices, cooked in our tandoor and served on a bed of sautéed onions. Chicken breast marinated in a creamy yoghurt marinade of cardamom, cashew nut, cheese, mace, coriander leaves. Four Tandoori wings, four Joshila chicken tikka, three Seekh kebabs, and two masala lamb chops stacked on a smoking hot bed of sautéed onions.